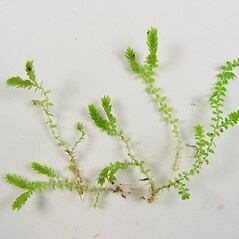 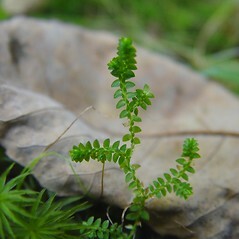 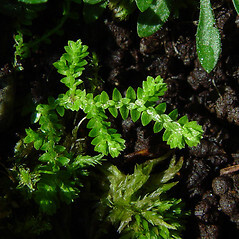 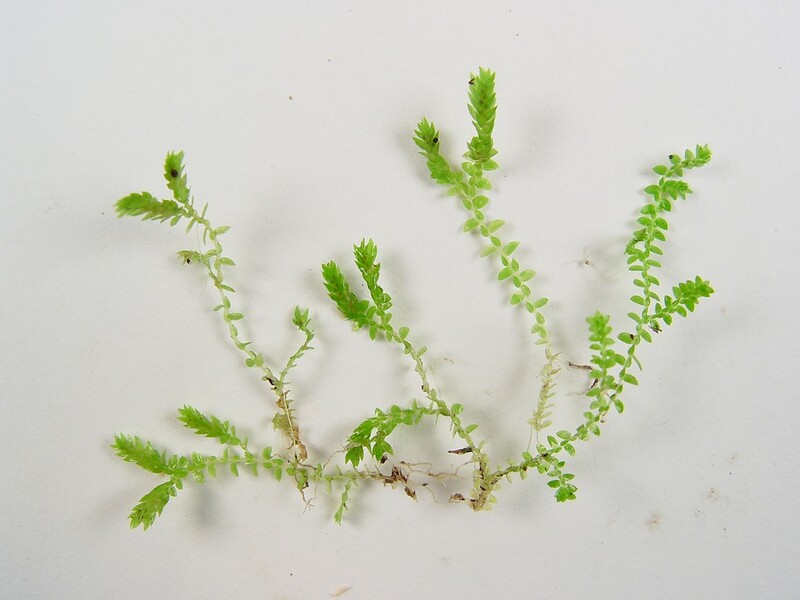 Selaginella apoda (L.) Spring in Mart. et al. 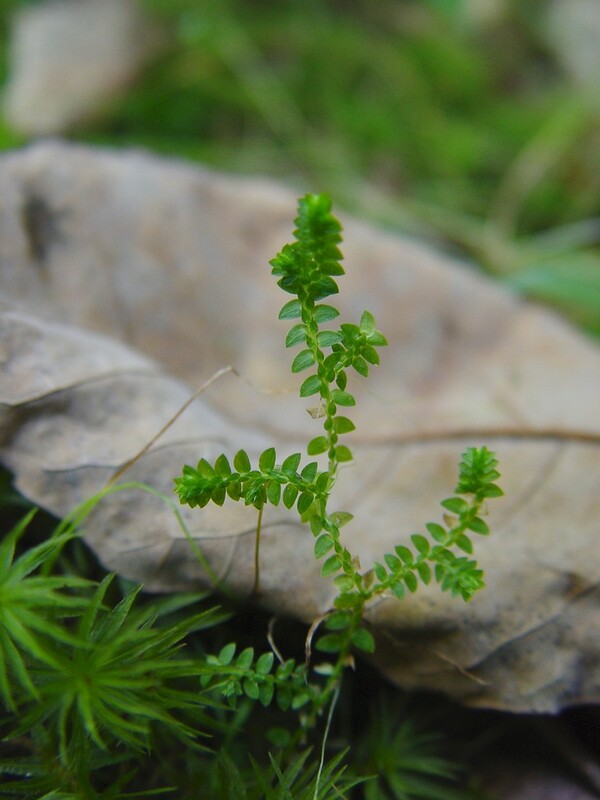 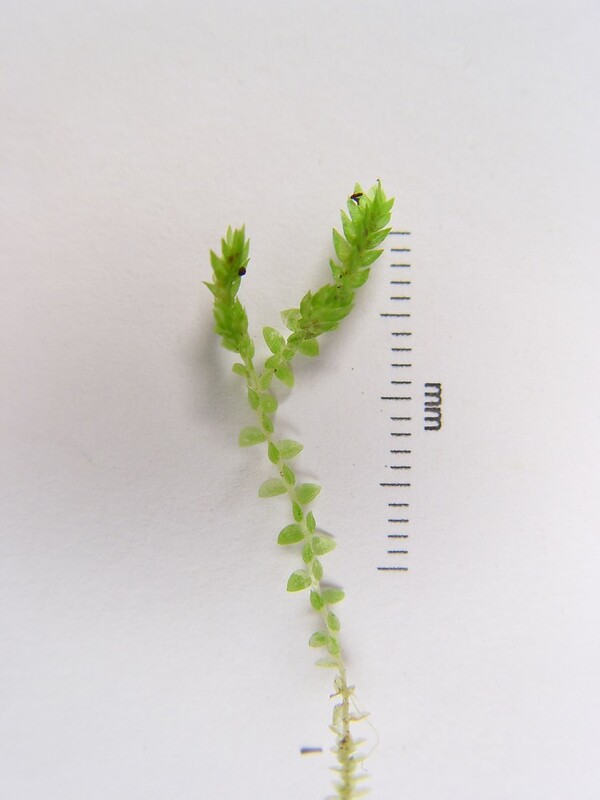 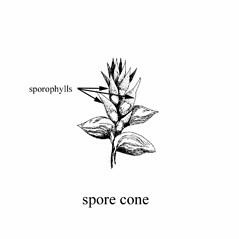 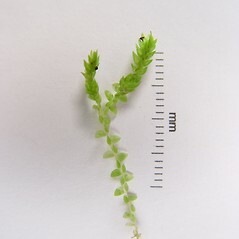 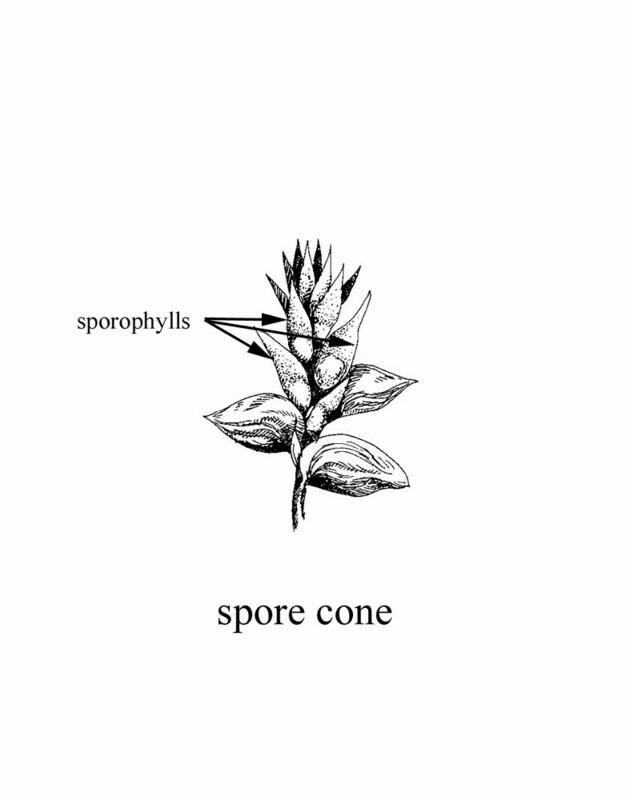 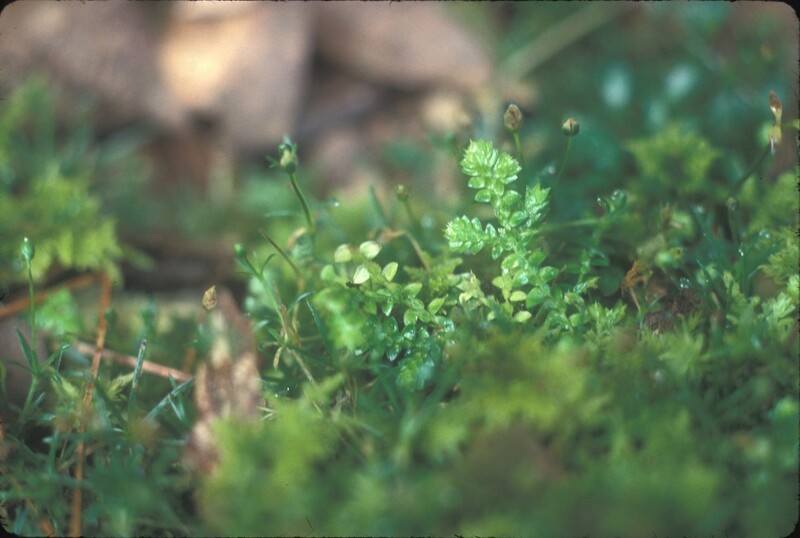 The stems of meadow spikemoss have two rows of larger leaves and two rows of smaller leaves. 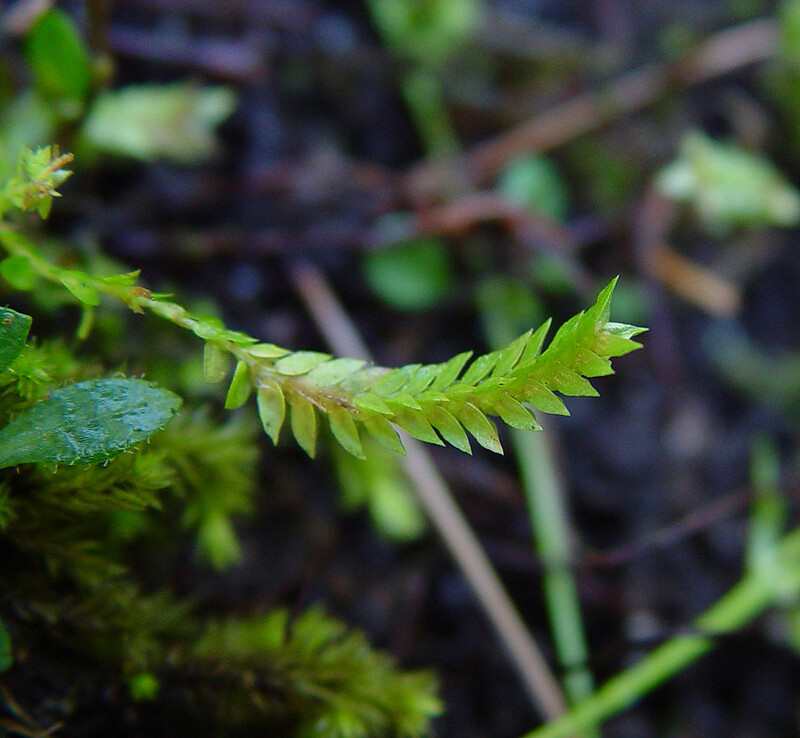 The veins in those leaves help distinguish it from a true moss. 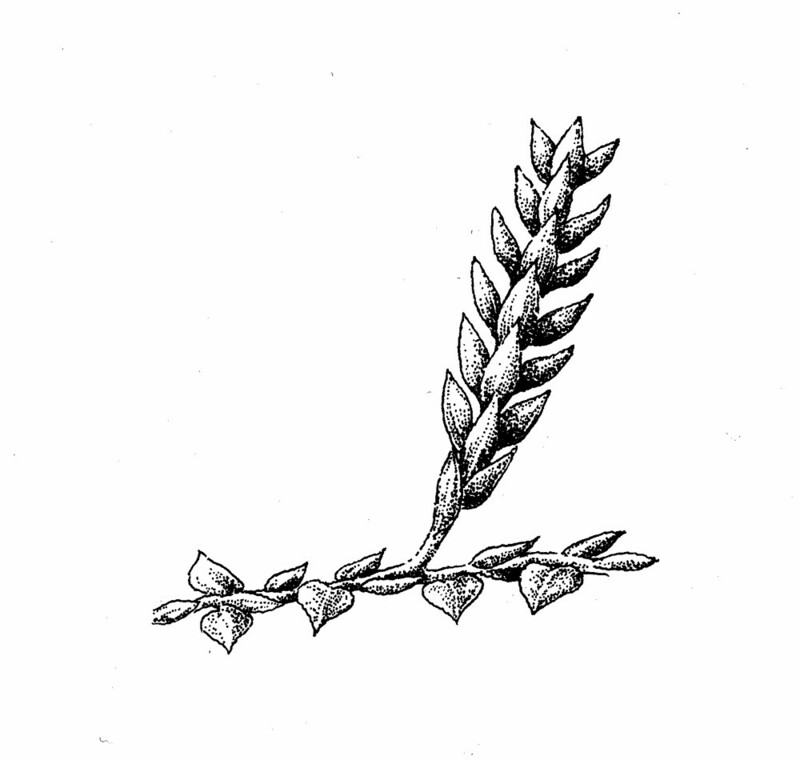 median trophophylls with a long-attenuate, often recurved, apex, not keeled, the vein prolonged into the tip, and megaspores 0.33–0.4 mm in diameter, more loosely reticulate, shiny (vs. S. apoda, with median trophophylls acute to acuminate at apex, rarely attenuate and then often apically keeled and the vein not reaching tip, and megaspores mostly 0.29–0.35 mm in diameter, closely reticulate, dull). 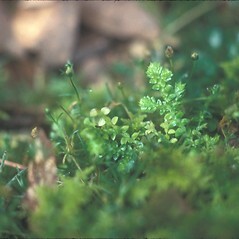 meadow spikemoss. 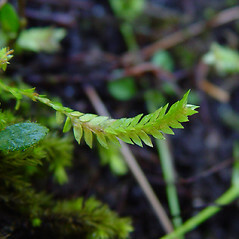 Lycopodioides apoda (L.) Kuntze • CT, MA, ME, NH, RI, VT; nearly throughout but absent from most of ME and northern NH. 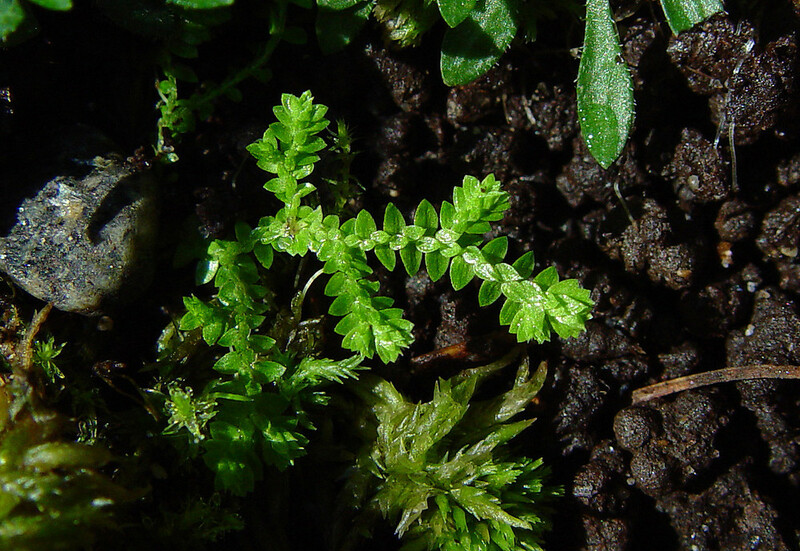 Stream banks, mesic to wet-mesic meadows and lawns.